Oktoberfest - the pilgrimage for beer lovers is now in full swing with millions of revelers visiting Munich to sample huge glasses of sparkling beer. The annual festival lasts two weeks with beer drinking sessions starting in the morning and lasting till early evening - it's the place to be for travelers from all over the world with a number of different sized tents offering up a range of different beers. 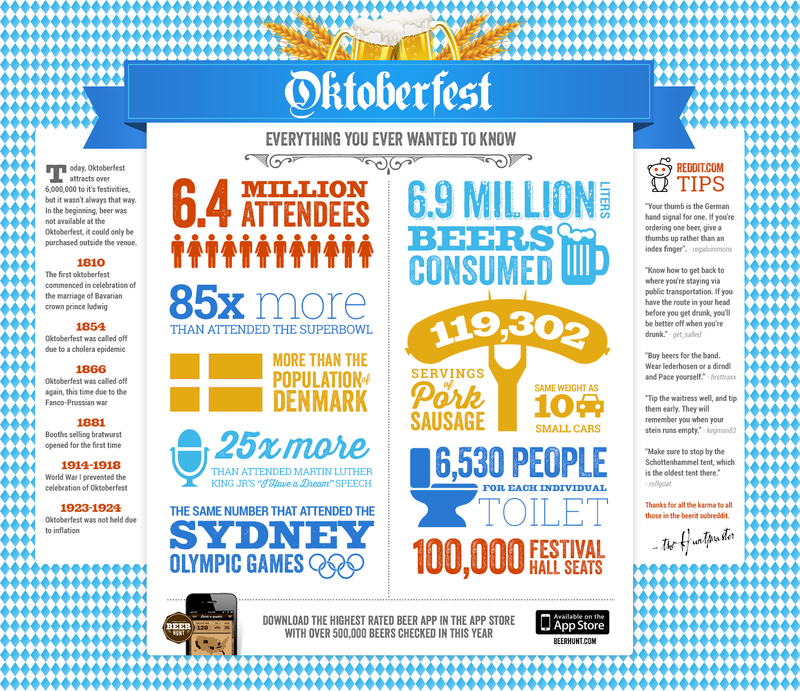 With the festival currently in full swing we decided to bring you this infographic from Beerhunt which looks at just how many beers are consumed during the event. It also features a range of facts and figures surrounding what has to be the biggest beer session of the year.